In the world of retail fashion, two companies: Ann Taylor and Banana Republic have made a mark that few other companies have managed to achieve. The go-to sources for high quality and affordable merchandise, these two companies stand at the pinnacle of affordable-yet-stylish fashion. This comparison article covers some of the key points of both distinctive brands. Ann Taylor is a U.S.-based retail chain store that caters mainly to women. Its headquarters are located in New York City and it offers a line of suits, dresses, shoes and various types of accessories. The brand currently has four divisions under its name: Ann Taylor, LOFT, Ann Taylor Factory, and LOFT Outlet. Banana Republic is a U.S.-based brand of clothes that was founded by Mel and Patricia Ziegler. Banana Republic first entered the market as a clothing brand with a travel theme, and the company was bought out by Gap in 1983. Ann Taylor Stores Corp. was established in 1954 by Richard Liebeskind, and by 1956, he had opened up the first store Ann Taylor store in New Haven, Connecticut. "Ann Taylor" wasn't actually the name of a person, but a popular dress sold in store of Liebeskind’s father. Liebeskind was further inspired to take on the name for his own chain of stores since "Ann" was a typically New England type of name, and "Taylor" suggested a line of tailored clothing, both of which he felt embodied the ideal classic women's clothes image. Banana Republic for its part first broke ground in 1978 as the creation of Mel and Patricia Ziegler. In its early years, the store was characterized by its uniquely designed catalog that was almost entirely illustrated by hand. Back then, the store prided itself on a line of clothes that were noticeably high-end, and imbued with an exotic and adventurous air. This feel was carried over into the motif of the actual stores, a design sensibility that was maintained until Banana Republic was taken over by Gap, Inc. in 1983. At the end of 2008, Ann Taylor had more than 900 under its name, with 320 carrying the Ann Taylor tag and 510 billed as LOFT stores. In addition, there were 91 Ann Taylor Factory stores, and 14 LOFT Outlets. 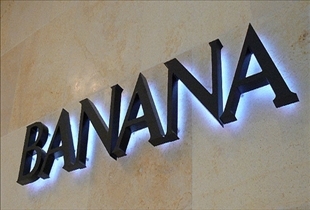 As for Banana Republic, it currently has more than 500 stores in the U.S. and more than 20 stores in Canada. Plans are currently in the making to open up more stores in Asia, Europe, and the Middle East. 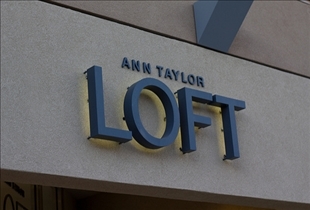 Has four divisions under its name: Ann Taylor, LOFT, Ann Taylor Factory, and LOFT Outlet. Which fashionable store offers better style?